If you are facing lag issues with your online game, then probably you are facing high ping issue. The High Ping issue is also known as Latency issue, and it leads to several in-game problems. You might experience in-game issues such as Game Freezing, other online players disappearing/appearing, etc. The issue of high ping in online games may also occur even when you have good internet speed. So, how to fix high ping in online games to play a game without any lag? There are not just one or two ways to reduce ping in online games. There are several factors that affect the internet ping speed. It could be your internet connection, your PC, the game settings, or some other factors that could be leading to a high ping speed. 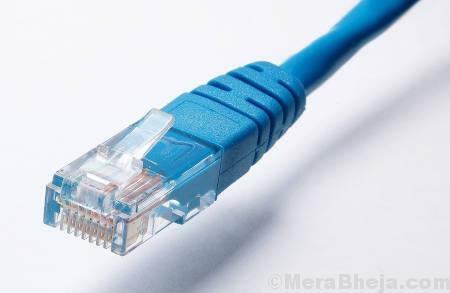 It is suggested by almost every online gamer out there to use Ethernet Cable instead of WiFi to connect your PC to the Internet. So, if you are using WiFi for internet, it might be the reason for a high ping speed. In case you are wondering how this works, then let me briefly explain it to you. Get an Ethernet cable long enough to connect your router to your PC. Now, connect one end of the Ethernet cable to the output port of your router, and another end to your PC’s Ethernet port. Usually, Laptops have inbuilt Ethernet port, while Desktops may or may not have ethernet ports. In case, you use Desktop, and it doesn’t have an input Ethernet port, you will have to fit an Ethernet Network Card in the CPU. Also, CPU cabinets have space for Ethernet Network Card, so adding one should not be a problem. Additionally, you might have to install the Ethernet Network Card Driver on your PC; a CD fetching the driver software usually comes with a new piece. 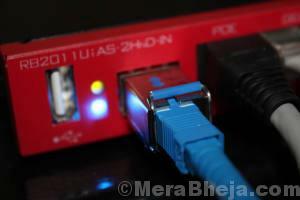 Once you start using the internet through Ethernet, there certainly will be some good improvement in the ping speed. Here’s a not-s0-pro, but a generic tip to fix high ping in online games. And this applies only to WiFi users, in case, using an Ethernet cable to access the internet is not an option. Bringing your PC and Router closer to each other will definitely help you to lower ping speed. If you use a laptop, doing so would not be a problem. But in the case of Desktops, you might have to face some challenges while doing so. Also, keep this in mind that obstructions such as walls and rooms in between your PC and the router could substantially increase the game ping speed. So, keep all these points in mind while repositioning your PC and the router. One of the ways to check if you are getting enough signal from WiFi is to look for the WiFi signal strength in the extreme right side of the Taskbar. If the signal strength is weak, it is obvious that the ping speed will be high. So, moving your computer closer to the WiFi till you get a strong signal of your WiFi is recommended. However, if there is a wall in between the router and your PC, even a strong signal could be failing your attempt to reduce ping speed in online games. So, always be mindful of all the points mentioned above to fix latency of online games. Closing down all the websites open in your browser and the programs running in the background can actually help to reduce ping speed in online games. Running websites and programs do not only utilize the processor resources, but some also utilize internet bandwidth while they are running. High RAM and Processor usage by other programs other than the game will, of course, leave less processor memory for the game, thus will increase latency. Also, internet bandwidth usage by other programs will also increase ping time while online gaming. Step 1: Press Ctrl + Shift + Esc keys together. 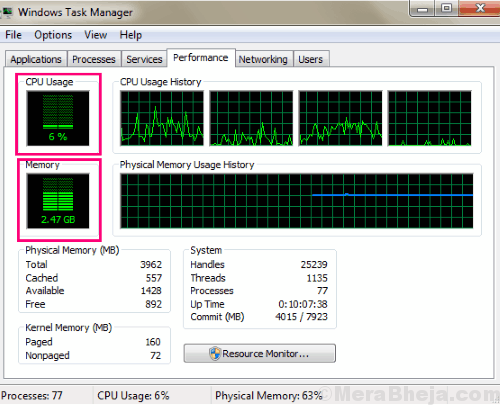 This will open the Task Manager. Step 2: Here, go to the Processes tab, and look for program names in the list of processes that are not necessary. Select one unnecessary process at a time and click the End Process option to close it down. Note: Only close down the process of generic software that you are aware of, like Chrome, BitTorrent, etc. 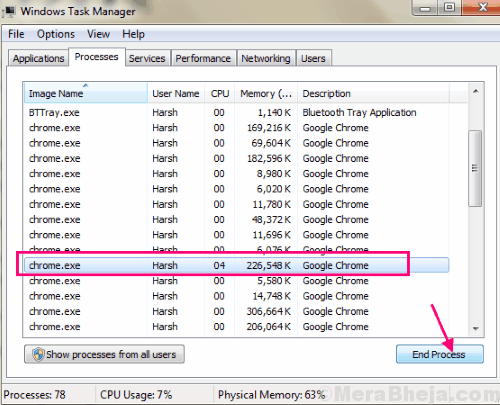 After closing down the program, go to the Performance tab of the Task Manager and see if the CPU Usage and the Memory consumption are low. Following these steps will fairly reduce ping speed in online games. If more number of devices are connected to your Router, be it PCs, Mobile devices, or other devices, then the ping speed is going to be high. This also applies even when you are connected to your router via Ethernet cable. With more number of devices connected, the bandwidth distribution is going to be high, thus catering high ping speeds to your PC. So, how to fix high ping in online games? You can always filter out unnecessary devices connected to your PC. While online gaming, you will not be needing your mobile device, so that can be disconnected. Likewise, disconnect all the devices that are not in use at the moment. This is one of the best ways to reduce ping speed in online games, thus getting rid of the latency. While playing online games, it is always a good idea to play the game on the local server. Say, you are in the US, and want to play on a Europe based server, the lag will come naturally, as the ping speed from Europe will be high as compared to the US. So, try to play the online game on the local server or the nearest server to your location to be able to get minimum ping speed. If playing the online game on a server far by is a necessity, then there’s a solution for that as well. You can use VPN for such situations. Refer to the Method #10 for more information on that. 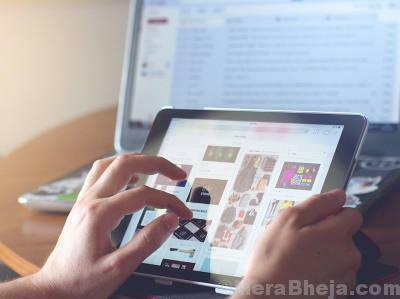 It goes without saying that if you are downloading something on your PC, it will consume your internet bandwidth, if not the maximum, but most of it. In such case, it is obvious that game ping speed will be high. So, you must keep a check on downloads while playing an online game. If you are downloading something important, let the download complete. Or, if it can wait, just pause the download. Look out for downloader software or torrent clients on your PC if you use either of them. While checking any active download in the Torrent client, also look if something is being uploaded or not. If that’s the case, stop the upload as well. Also, check on other connected devices if something is being downloaded or uploaded. If so, you will need to stop that as well in order to improve ping speed in online game. Your internet speed is one of the leading factors that control the ping speed of online games. It goes without saying that an online game will run on high ping speed if the internet speed is slow, thus your game will run laggy. In case you haven’t checked your internet speed, do check it. There are several online tools that will do that for you, such as this internet speed test tool. If your internet speed is slower than usual, you can contact your Internet Service Provider and complain to them about the same. Meanwhile, you can try these tips to increase internet speed in Windows 10. If you have a basic internet plan, you can also upgrade your plan to get a higher internet speed. Higher internet speed will for sure fix slow ping speed in online games. As basic this process may sound, sometimes restarting your router does work. If your Router has been turned on for a very long duration of time, then restarting it is always a good idea to refresh the download speed, thus reducing ping speed in online games. This will not be just a simple restart. Pull off the plugs of the router, keep it unplugged for around half a minute, and plug back in. Now, see if the restart did fix high ping speed in online game or not. Have you been using the same old router for a long time? Routers have their own bandwidth capacity, and just like any other electronic devices, they also get outdated as technology is upgraded. So, make sure that your router is up to date with your internet connection. It is very common among users that their router was not up to date with their router, thus the internet bandwidth was low, thus the online game ping speed was very high. You can contact your Internet Service Provider and they will help you out by proving information if your router needs an upgrade. It’s a simple process and will improve the overall quality of the internet, also reduce ping speed in online games. Using a VPN or Virtual Private Network can be a helpful solution for many to fix high ping speed in online games. This is a solution specific to those who live in an area where the online game server is not located. It can also be helpful if you do not want to access game server of your region, but a server located at a different region altogether. For example, a person from a country in Africa wants to play an online game, but the game server is not located in his region. For this, he will have to play from a game server located somewhere else, say Europe. If he/she directly connects to the server through his internet, there are chances that he/she will be getting a very high ping in online games, even the internet speed is fairly good. For this, what the person can do is use a VPN to access the internet from Europe region, or as a matter of fact, from any region of the world. This also applies to a person who is located in a country that has its own server but wants to play on a server of a different country. VPN is used widely by gamers all across the world to play on different servers without the risk of high ping speed. So, you can also try VPN to reduce ping speed in online games if the above conditions apply to you. Here are some free VPN Software for Windows that you can try out. There are also paid VPN services available as well with advanced functionalities. If everything on your PC looks okay and there’s nothing much that you can do to fix high ping in online games, then here’s another solution for you. Use a software to reduce ping speed. There are software available that will help you lower the ping rate, thus provide a good overall gaming experience. There are both paid as well as paid reduce ping software available out there. The free ones might not work as good as the paid ones. The paid ones, of course, come with free trial versions, so if you want to invest in a paid ping software, make sure you try it out first. Kill Ping and Haste are some of the reputed names in this field. If you use an Antivirus software or use Firewall, go ahead and right away whitelist the online game to reduce ping speed. In case you are wondering how this would fix high ping speed in online games, let me explain it to you. If you do not whitelist the online game, then the data communication between your PC and game server will be monitored by the Antivirus you are using and also by the Firewall. This, in turn, increases the ping speed in games. Whitelisting online games means that the data transfer will bypass the Antivirus and Firewall, and will reduce ping speed in games in turn. The process to whitelist programs and games is different in different antivirus software. So, it won’t be possible for me to tell you guys how exactly to do that. However, doing so is easier than you would expect it to be. You can search on Google or look up a tutorial on Youtube for your antivirus to whitelist your game. Who doesn’t like to play games in full graphics with close to real experience while gaming? But what’s the use of the real graphics if the game is lagging and wouldn’t let you play properly? Game graphics settings play an important role in determining the ping speed of it. It is always suggested to keep your game graphics settings optimized according to your PC’s configurations. If you are playing the game on higher graphics settings than what your is suitable for your PC, this may increase the ping speed. Playing on higher game graphics settings means utilizing more of your PC’s resources. If most of the resources of your PC is utilized by the game, then the resource available to process the data communication between your PC and the game server would be less. Thus, it will result in a higher ping speed. Always remember to keep your game’s graphics settings optimized in such a way, that you do not utilize all your PC’s resources. This will help you reduce ping speed in online games to keep things smooth. High ping issue in online games is a very frustrating issue for many online gamers. While most face this issue because of their internet connection, there are factors that you can take care of from your end through your PC to reduce ping speed in online gaming. One or the other methods mentioned above will for sure fix high ping speed for you. 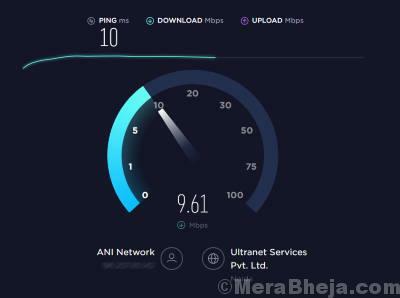 But in case you are not satisfied with the ping speed, you must contact the customer care of your Internet Service Provider and raise a concern regarding this issue. Please let us know in the comments which of the tips or methods worked for you to reduce ping speed in online games for you.